We are ergonomic specialists and we LOVE kneeling chairs. 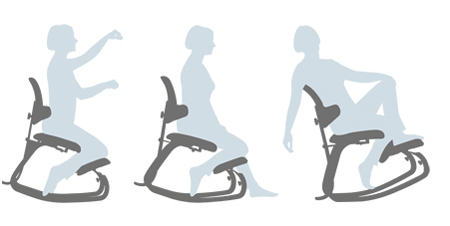 They work immediately to improve posture, stimulate movement and keep joints and muscles active while sitting. 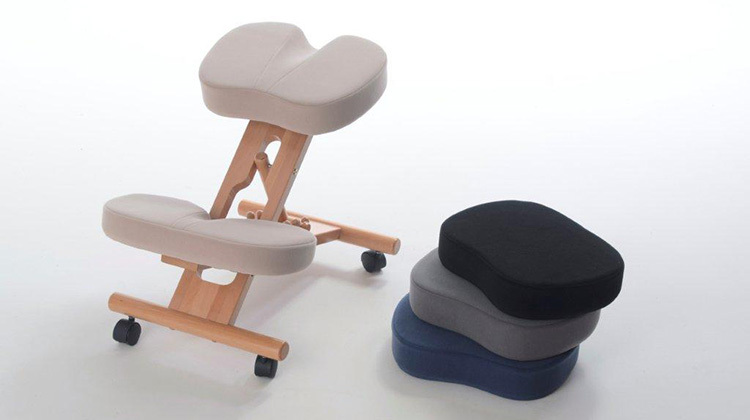 There are dozens of different makes and models of kneeling chair... so which one is right for you? What are kneeling chairs all about? 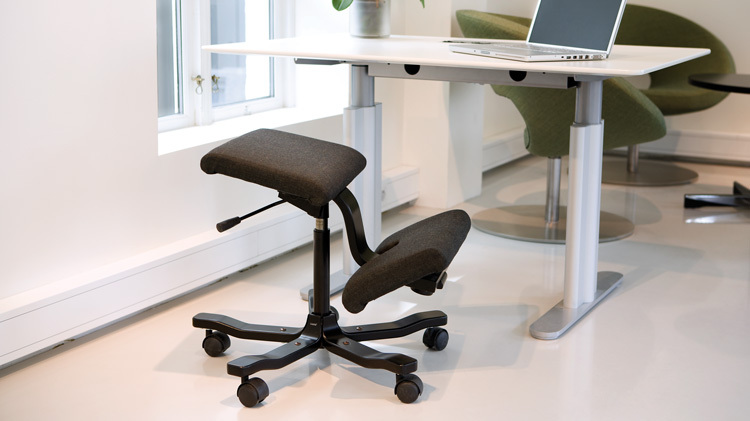 Kneeling chairs make sitting fun, but more importantly they increase health and productivity at the same time. 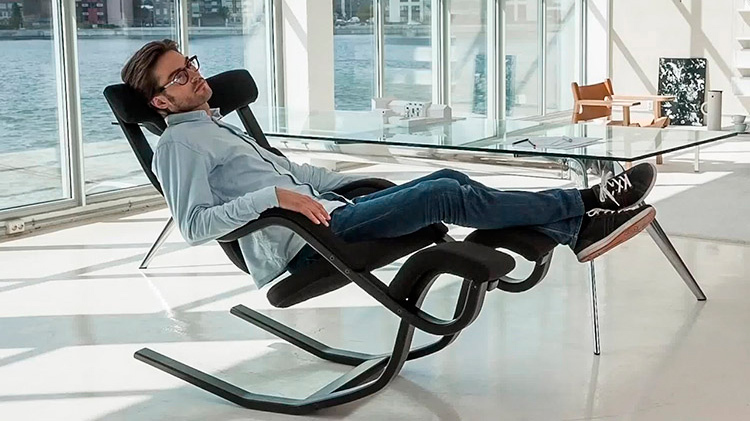 The key to all good chairs is movement, forwards-and-backwards, side-to-side, up-and-down, the more movement the better. We call this active sitting. Once you achieve active sitting your core muscles will become stronger and you will find your posture will improve overnight, joints will be less stiff, and you will become more focused and have higher concentration levels. When you sit on a kneeling chair you balance the spine properly over the pelvis – i.e. good posture! 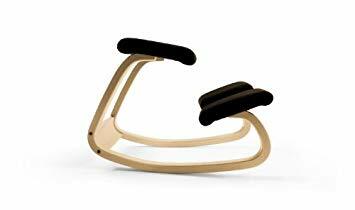 – On the best kneeling chairs, the rock of the chair is exceptionally good at helping you to keep good posture, even when you are tired. The Wing allows more movement than either the Variable or the Multi. 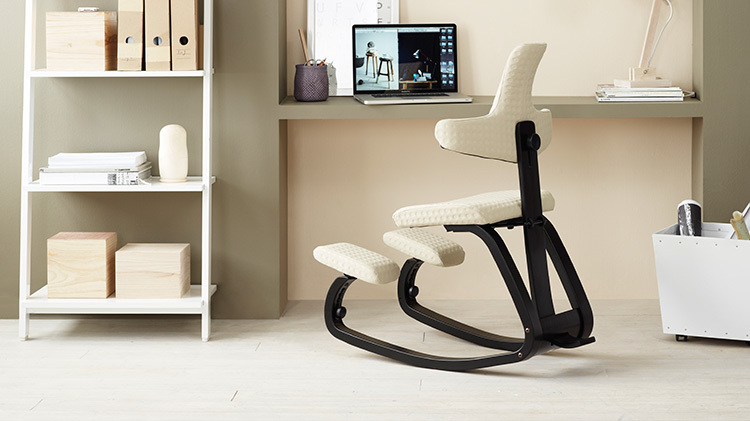 Wing is an unconventional working chair with castors, height adjustement, swivel and tilt functions. The Wing comes with soft castors for hard floors.